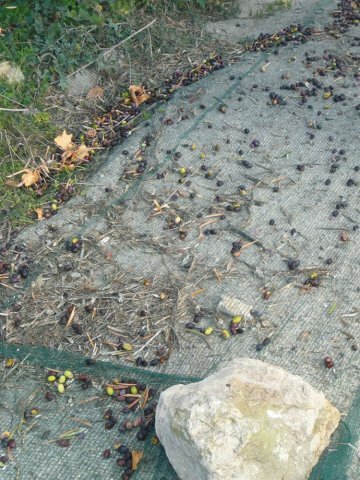 We’ve been waiting since last spring the right time to see a traditional olive harvest, and here we are, end of november, at Antonin Streitz olive farm in Valbonne. 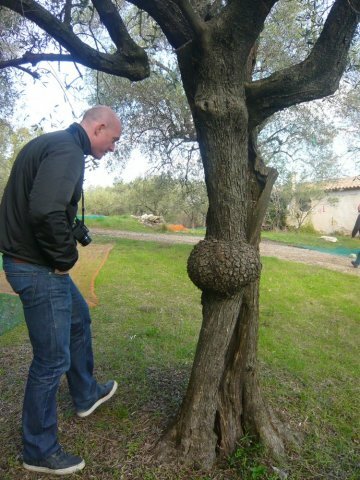 A real journey through ancient times. 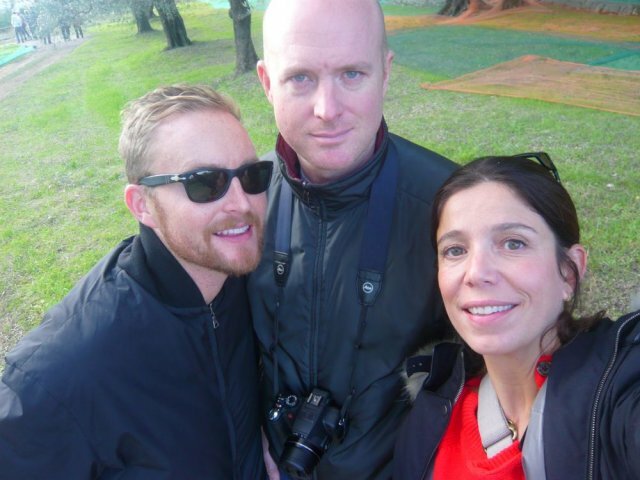 Stephen, Joshua and I are surrounded by 2000 olive trees, some of them 400 years old! 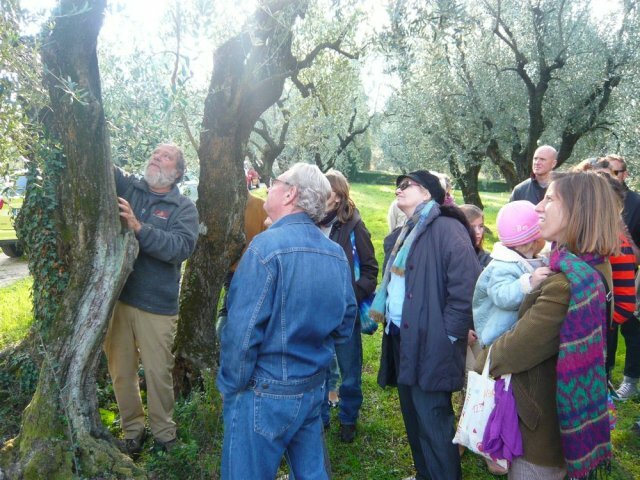 Antonin shares the exploitation with his son Marc, and together they try to stick to the traditions. 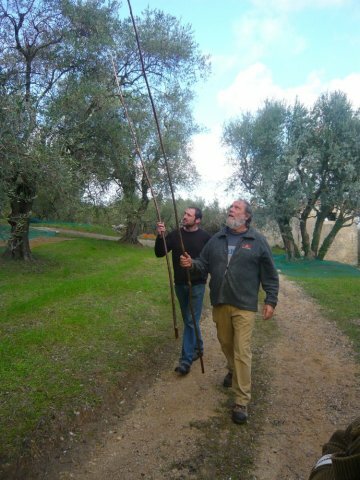 Using as less pesticides as possible (and “bio” labelled when they can’t avoid to use some), testing natural clay on the branches to keep the hungry flies away, and shaking long poles knowned as “gaules” to gather the fruits instead of mechanical engines. An herculean task indeed, that doesn’t frighten this Ulysses looking man with his long beard. 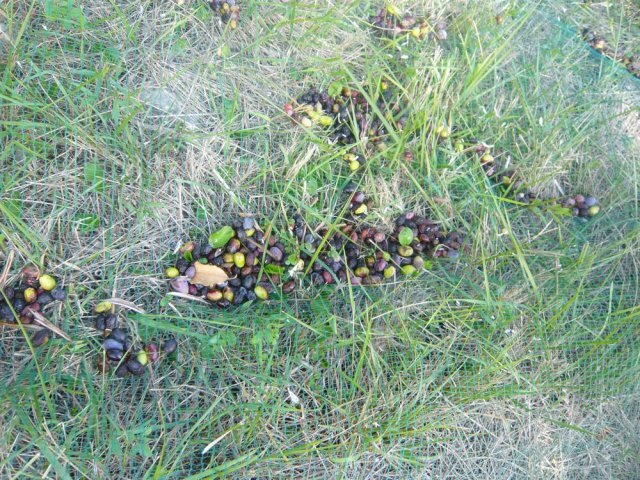 The harvest goes from november to march. 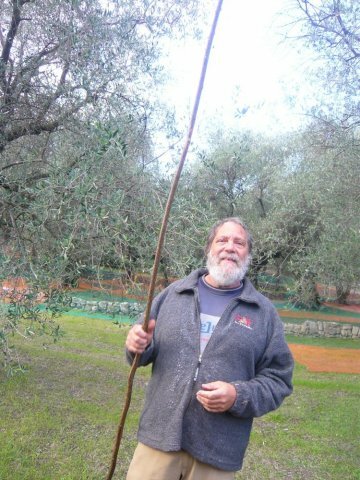 First they pick the mature fruit fallen by themselves on the big nets all around the floor under the trees for the lowest quality oil, then, they use the giant “gaules”wood sticks to catch the mature fruits still on the trees for a higher quality. 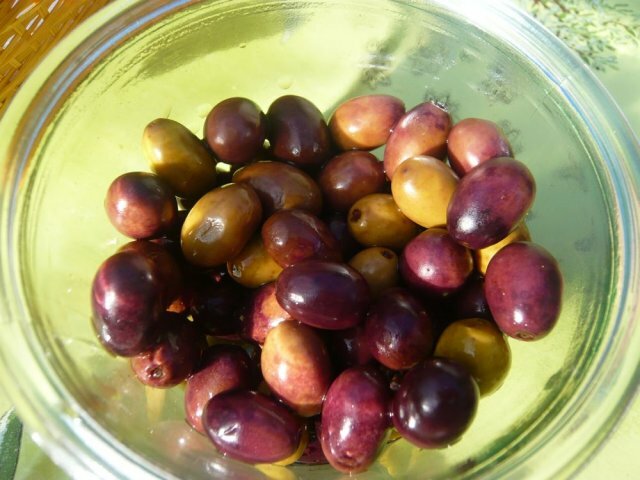 They have 3 different kinds of olives, the very strong in taste “picholine”, the sweet “caillette blanche” and the very dark “négrette”. 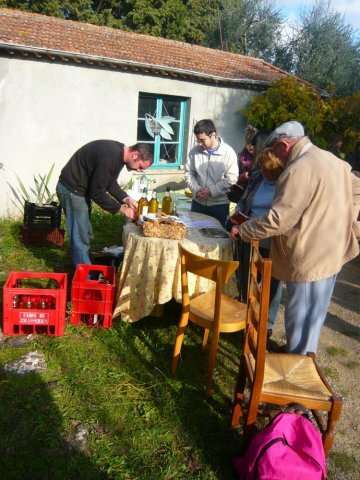 The 100% picholine oil is very precious, the one from the caillette is pale and subtile, and sometimes they mix the 3 kind to make a winery like “grand cru”, le “cru Saint Blaise”, named after the Valbonne saint. 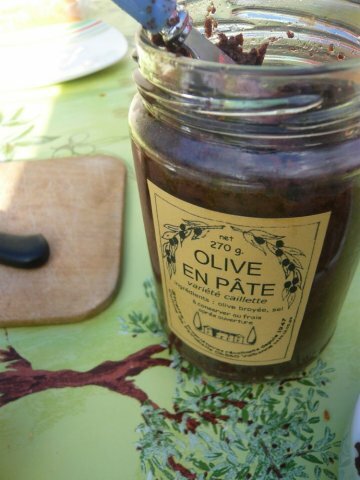 They also sell olive paste, with is made only from the fruit, (not like tapenade which is a riviera preparation with different ingredients), and some”olive the table”, the plain olives macerated in saumur, with spices or not, as appetizers or to use for cooking. The place is really beautiful, the products high quality, and the streitz family is warm and welcoming, so if you pass by, don’t hesitate, that’s one of our favorite address on the Riviera! 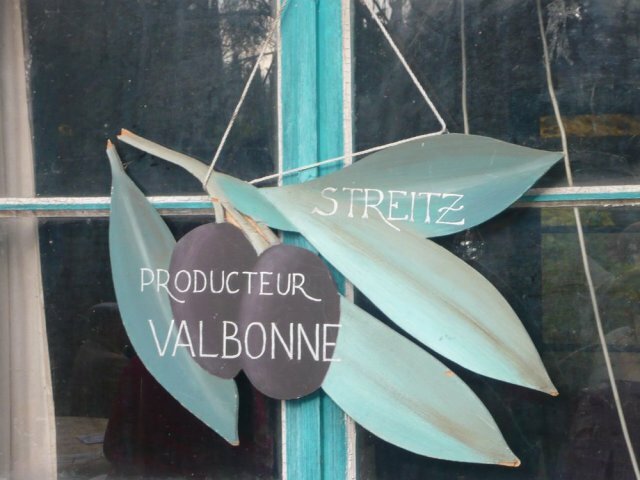 You can also buy from Antonin Streitz at the local producers market in Valbonne. A big thank you to my friend Nathalie who introduces us to Antonin Streitz.